Via Michigan Radio: Working women in Michigan earn only 62 cents pre dollar earned by their male counterparts according to Slate's mapping of 2010 census data. Here in Washtenaw county, things are slightly better than the state average at 67 cents per dollar but still lower than the national average of 72 cents per dollar. 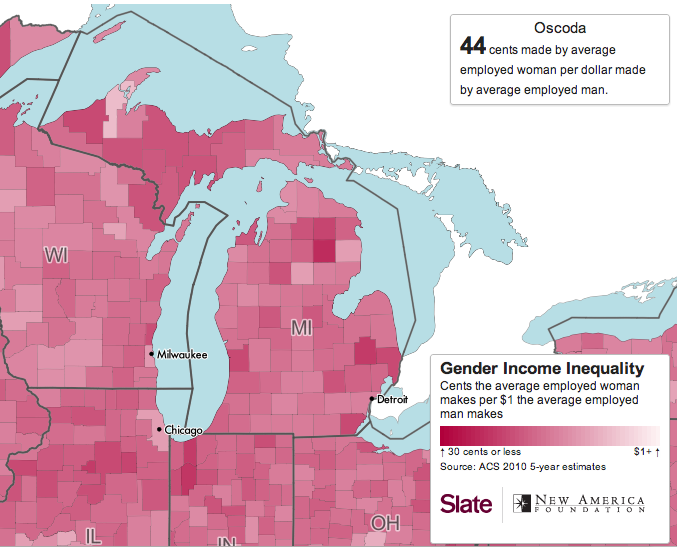 Houghton and Oscoda counties are the best and worst counties in the state where women earn 84 and 44 cents per dollar men earn, respectively.